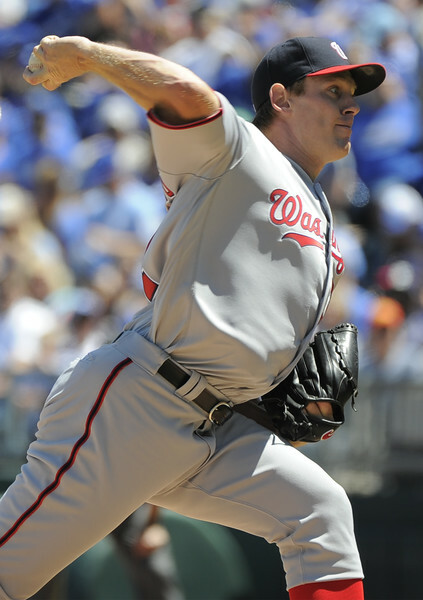 Stephen Strasburg shocked he baseball world the other day – by inking a 7 year extension worth from $175 – $180 MIL. It ties him for 17th All – Time with Felix Hernandez to start with, but he can earn an additional $7 MIL with $1 MIL per year bonuses for reaching 180 IP. The deal pays him $15 MIL annually from 2016 – 2023, and then the deferrals kick in from 2023 – 2030, in 7 installments of $10 MIL each. Some will say his deal is worth more like $162 MIL in present day dollars, however we do not operate our top 50 contracts list like that. The deal is guaranteed at $175 MIL for now, and we will change it if bonuses are hit. With this contract, the Nats have 4 current players that are on this ALL – Time List with Scherzer (10th), Strasburg (T 17th), Zimmerman (37th) and Werth (Tied 44th). This signing is a great move to open a 3 year window for Washington, as they also have Bryce Harper under team control until after the 2018 season, however it also may seal the fate the of the young reigning NL MVP to move elsewhere for 2019. Werth’s contract does end at the end of the 2017 year. but Zimmerman is still on the books until at least 2020. It will be tough to come up with the dough necessary to drop a 11 – 13 years contract worth $35 – 40 MIL per annum when it comes to Harper. Even with Scherzer’s and Strasburg’s deals both containing a ton of deferred money- all of them will still run simultaneously to Harper’s deal – even if they are not on the roster each after the 2023 season. I think you couldn’t risk trying to outbid everyone for Harper’s services, yet to pay Strasburg market value makes sense. There is no doubt about it that the Yankees are old. However, they have some guys who are chasing down some historical numbers this season in Alex Rodriguez, CC Sabathia, Mark Teixeira and Carlos Beltran. A-Rod is chasing down Babe Ruth next on the ALL – Time HR list with just trailing him 714 – 686. If he can crack 28 jacks, he will tie the “Sultan of Swat” and with 29 he will surpass him. If #13 manages just 23 HRs, he would become the ALL – Time American League HR champ, as Babe Ruth hit 708 of his 714 big fly’s in the Junior Circuit, before tallying 6 more with the Boston Braves. Rodriguez is also chasing down many other categories like Hits, Runs, RBI, GP, XBH and Strikeouts. Of course he already holds the record for Career Grandslams with 24. If he can somehow reach the 30 HR barrier, it will be his 16th year of that many, and break a tie with Aaron for that honor. Losing Chris Davis and his 45+ HR power would have been very difficult to replace. The O’s have their man with a creative deferral payment plan that will see them pay Davis $119 MIL from 2016 – 2022, and then pay out $42 MIL over the next 15 years in deferrals. The $161 MIL has him tied for 19th ALL – Time in MLB Player Contracts with CC Sabathia. The Orioles slugger led the league with 47 HRs (2nd time in 3 years), and has clubbed 126 HRs (led all of the MLB) in the last 3 seasons despite being levied a 25 game suspension for his medication in Sept of 2014. Johnny Cueto is 97 – 70 (.578) career with a 3.30 ERA however he has put forth a 2.71 ERA since the start of the 2011 year. Much like his new team, Cueto has performed better in the even years of this decade, where he finished 2nd in Cy Young Voting in 2012 and 4th in 2014 Cy Young Voting. The landscape of the NL West just changed again. As of right now I give the Giants as equally a shot to win the NL West as I do the LA Dodgers. Signing Johnny Cueto is an awesome move. Even better than the 6 YRs/$130 MIL deal is an opt out clause after 2 years, when Cueto can forego the final 4 years of the pact – leaving the San Fran club with $84 MIL on the table. The current contract also calls for a Team Option for a 7th year. Cueto, who is 30, most likely will opt out after 2017 if he can put up great back to back seasons as good as his 2.71 ERA since the start of the 2011 campaign, – only bested by Clayton Kershaw in that time frame. 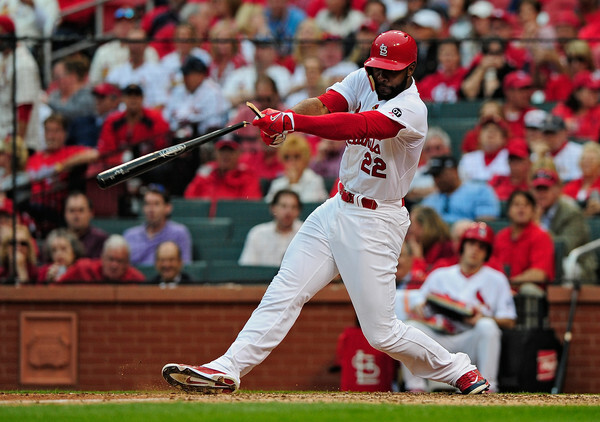 It has been announced that Jason Heyward has just inked an 8 YR deal with the Chicago Cubs for $184 MIL deal. The contract calls for a player opt out after 3 years, but for now he is tied with Joe Mauer for 13th overall in total dollars during a deal. Whether Heyward is worth that kind of dough in AAV is beside the point. At 26, he was one of the youngest Free Agent players of all time that could garner that type of cash. Adrian Beltre has earned every cent of his 6 years/$96 MIL deal signed before the 2011 season so far. He has 3 slashed .309/.358/.514 in his tenure and has finished in the top 15 for MVP voting in each of those campaigns. 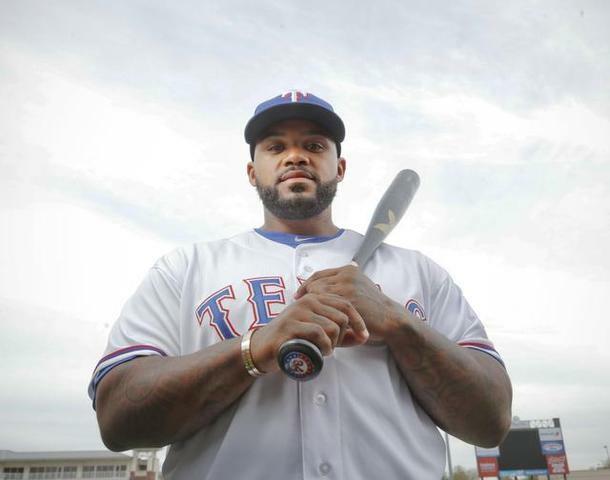 The Rangers should try to extend him for 2 or 3 more years past 2016 – and lock up the future Hall Of Famer so he can end his career in Arlington. 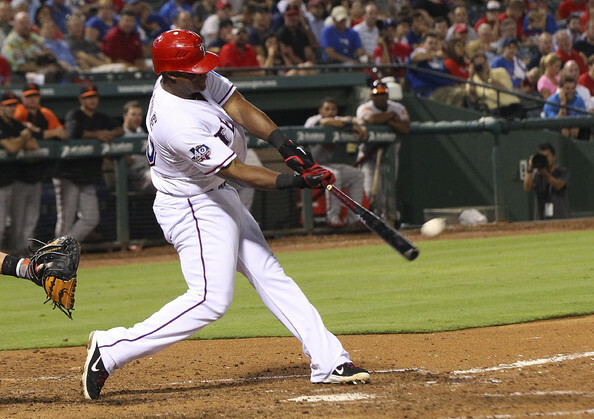 Beltre will play next season at Age 37 – and will make $16 MIL in the final year of his pact. When Adrian Beltre arrived in Texas for the 2011 season he had a fine career that was started at age 20 in Los Angeles. What he has achieved in Arlington was turn a decent lifetime of playing baseball into a Hall of Fame Career. The 36 year old Third Baseman could hold records for the hot corner for XBH, 2B’s, R, GP, PA, AB, Hits and RBI just to start with – and cement his legacy in Cooperstown. Greinke Signs With Arizona: 12th Best Deal ALL – Time Of 50 MLB Richest Contracts. Zack Greinke opted of his deal (6 YRs/$147.6 MIL) after this last season with the Dodgers, even though he will still nearly $26 MIL per year left on his deal running through 2018. The 32 Year Old has been dynamite since moving to Los Angeles, featuring a 60 – 17 (.779) record with a mid 2 ERA since he was dealt to the Angels in mid 2012 from the Brewers. He just inked the most lucrative deal ever signed for the MLB in AAV at $34.42 MIL per year. A collective haymaker punch has just been thrown at the rest of the National League West. The Diamondbacks have inked Zack Greinke to a 6 YRs/$206.5 MIL pact as of last night. This is the 3rd richest Pitcher contract ever signed behind David Price‘s 7 YRs/$217 MIL deal – and Clayton Kerhsaw’s extension of 7 YRs/$210 MIL. It is also the highest Average Annual contract ahead at $34.42 MIL per season, edging out both Price and Miguel Cabrera at a clip of $31 MIL each a campaign for their respective deals. 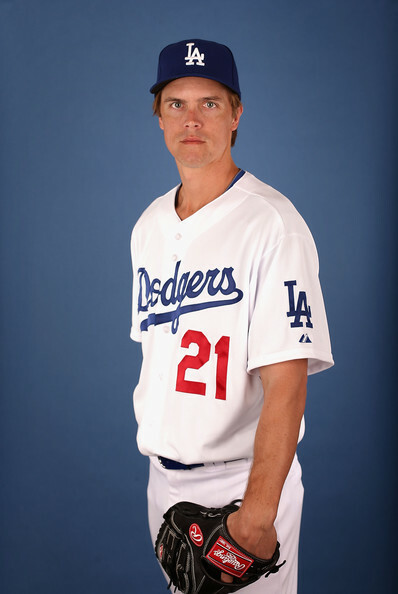 Greinke, 32, who finished 2nd in NL Cy Young Voting with an incredible 1.66 ERA in 222.1 IP worth of work in 2015 had opted out of his 6 YRs/$147.5 MIL deal with the Dodgers after just 3 years. The Right Handed Pitcher left 3 years and $77.5 MIL on the table – and this was the right move as he was slated to earn just under $26 MIL a season for that contract. This is the 12th richest deal of ALL – Time in the Major Leagues – and is also the 12th player to crack the $200 MIL+ barrier. David Price has just inked the most expensive pitcher contract in the history of the MLB. With his and Jordan Zimmermann both hitting the top 50 contracts of ALL – Time in the last week, it has pushed Homer Bailey out of the top 50 deals of all time for chuckers. Right now, there is no one that has had the Tommy John Surgery while having a contract as a pitcher in the top 50. Expect that to change. Which poses the question – are pitchers really worth 9 figure deals? David Price just inked the richest deal in MLB history with the Boston Red Sox at 7 YRs/$217 MIL. It is also the 8th richest contract ever doled out. The question is whether or not it is a worthy investment to put that much dough on the table for a guy that will progressively decline as the deal goes on. If you follow our Tommy John Surgery Tracker, you will find that 30 or so pitchers are having their names added to the list. Last season, the first 9 figured player – and top 50 salaried player had their arm go under a TJ Surgery in Home Bailey. The time is coming again when an even higher profile pitcher will have to go down with it while his name is on a pact for a huge 9 figure salary. it is the main reason why some clubs just can’t afford the risk. Boston has the funds to do this, and this clearly was the prudent move for the franchise to do after losing out on Jon Lester last season. It is a paying respect Episode 928 of The Sully Baseball Daily Podcast. Jered Weaver, Cole Hamels, Ian Kinsler, Bryce Harper, Alex Gordon, Jimmy Nelson, Ryan Braun and Roberto Hernandez all added to their totals for Who Owns Baseball? The link to my article about clinching can be found here. 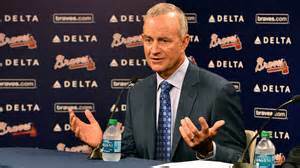 The Braves acting GM John Hart has traded the entire OF, shed payroll, and tried to stockpile the Minor Leagues with a boatload of prospects – that should coincide with the opening for the new ballpark in 2017. The transformation has been swift and just. Their dominant pitching once composed of Hall of Fame trio Greg Maddux, Tom Glavine, and John Smoltz. Their former brash manager Bobby Cox. The face of this franchise since Hank Aaron Chipper Jones. Scherzer’s 7 Year/$210 MIL deal is actually worth $185 against the cap, and we are giving him the same for the ALL-Time Contracts. This sum puts him just behind Derek Jeter for 11th in MLB History. Jon Lester and he are the only 2 men to enter the top 50 this year after 7 players made the cut last off year. Cabrera, Cano, Kershaw, Tanaka, Ellsbury, Trout and Choo all have made the chart since the end of the 2013 World Series. The deal called for a $50 MIL signing bonus. 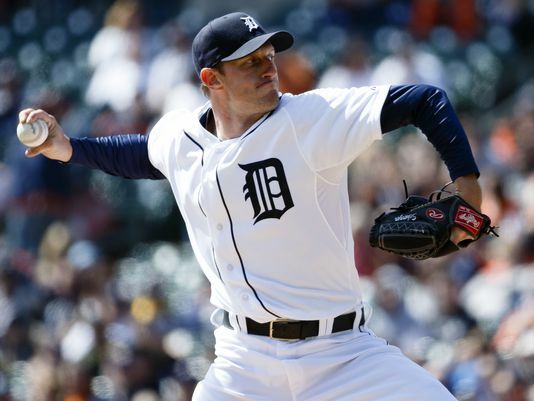 The 2013 former AL Cy Young winner, will make $15 MIL in deferred salary for the next 14 seasons. The 30 Year Old, will join the NL’s best club of 2014, as far as wins are concerned, bringing in a 96 – 66 record. The RHP has led the AL in wins the last 2 years (21 Wins and 18 Wins respectively), and has compiled a 55 – 15 (.786 Winning Percentage) since the start of the 2012 campaign. *** With A-Rod’s suspension in 2014, he forfeited $22.13 MIL bucks, so it will now end up 10 YRs/$252.87 MIL for the duration of his deal. You can’t tell me he will be worth 40% of what the Yankees will be paying him next year, and all the way till the end of 2017. Go see #25. He has the 4th and 25th top contracts of ALL – Time. This contract doesn’t start until 2016. 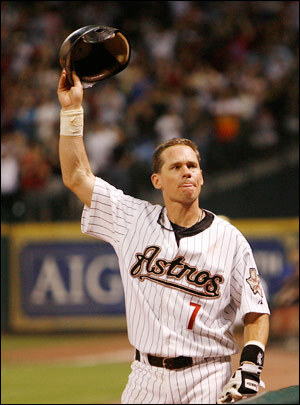 Craig Biggio finally got his “call to the hall” and should set an example for players who didn’t get that call on their first try. Other notable players are still on the ballot, and should receive legitimate consideration for induction in the future. The BBWAA elected four players into the Baseball Hall of Fame for the class of 2015: Randy Johnson, Pedro Martinez, John Smoltz and Craig Biggio. This is the first time that the BBWAA has elected four players in 60 years, as these four players truly exemplify what the MLB Hall of Fame is all about. Now that the official results have been released, we can now take a look at not only some of the guys who will return on the ballot in the upcoming years, but also some future eligible players who present a very interesting case for their enshrinement into the Hall of Fame. Giancarlo Stanton, who will turn just 25 in a few days, ended the year with the HR crown at 37 and added 105 RBI in just 539 AB before having his season ended with a Hit By Pitch. With the big slugger due for huge Arbitration awards in the next few years, the club started bargaining withe their young superstar towards a long-term contract once the year was over. They came up with a record breaking 13 Year Deal worth $325 MIL at the end of it. Stanton also holds his own ticket for the future as well, with a full no no-trade clause, and an opt year after the 2020 campaign. With the ink not even being finalized on the historic deal between the Marlins and Giancarlo Stanton, it has been confirmed the deal is for 13 years at a clip of $325 MIL. Among the provisions includes a no-trade clause, and an opt-out after the 2020 season, which would be 6 years into the deal. It will be interesting to see how the dollars are broken up per year. If I were Stanton, I would have wanted for the Annual Average money be even throughout the pact, otherwise I may be leery of the club trying to let him walk out after the 6 years – by not having a competitive club. Although, if it is back end loaded the team would certainly have the flexibility to spend more cash on their current roster for the next 6 campaigns, Tough dilemma for sure to be in. No matter how long the 2014 NL MVP runnerup stays in South Beach, this is a smart business transaction for the franchise, regardless of the outcome. It just may backfire from a baseball operational sense in terms of finances for signing other players too. 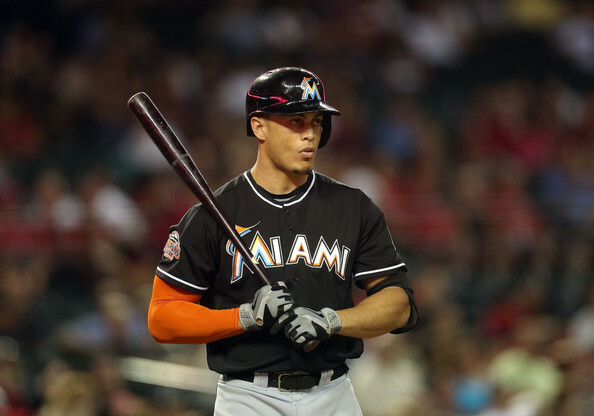 The Miami Marlins had to do this contract to save face from the 2012 break up of the squad. Now while the big blockbuster trade has given the team the ability to contend for a playoff spot in the near future – and was a smart organizational move, as the fans also have been sold a bill of goods from the Marlins ownership since day 1 of the teams existence. This is a marketing plan as much as anything that will be brought forth by the baseball impact. Stanton is the marquee player on the team, and trading him away in the next 2 years would have had a devastating effect on the fanbase. 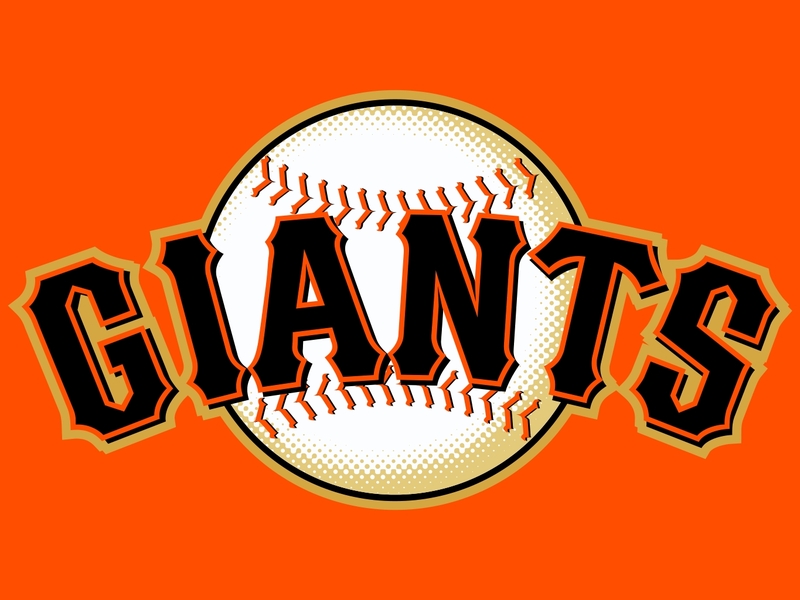 The Giants won the World Series in 2010 and 2012, and now are in the 2014 World Series – with a great chance to win 3 titles in 5 years against Kansas City. The best teams for the last several years include the Red Sox from 2004 – 2007, the Phillies from 2008 – 2009, and then you would have to place the Giants as the best overall team from 2010 – 2014. Can they keep up the format of winning a World Series every 2 years again this year? The Red Sox (3 Titles), plus the Giants and Cards each having 2 Fall Classics, are the only 3 teams to have multiple World Series Trophies since the 2004 year. There is only so much one can read in an article, otherwise I would make these lists up from the turn of the 20th century. If you gave me enough time as a reader, I promise to backdate this topic with another article featuring the best teams dating back further in years. Eventually, all of the years may be dissected and we can have a healthy debate on some of my selections. I really started watching baseball in the early 1980’s. As I became older and discovered ways to research the history of the game, my knowledge and curious mind grew for more information. I have studied and read baseball stat books and breezed through the odd Bill James novel. If I ever take a break from writing or baseball park chasing, I may find some time down the road to watch the 9 part PBS documentary that Ken Burns did on baseball’s history. B.J. Upton And Dan Uggla Were The Biggest Reasons Why Wren Was Shown The Door! The Brothers Upton both were acquired in the 2012 offseason by the Atlanta Braves. This was a risk for the organization, and while Justin has played extremely well in condensed pockets, B.J.Upton, now 30, is quickly establishing himself as one of the worst Free Agent contracts ever signed in Major League Baseball. with a .197/.276/.310 – Braves 3 Slash Line – with 20 HRs and 60 RBI in 902 AB during his 1st 2 years as a Brave is simply abysmal. The club’s brass should send him to the Winter Leagues this off-year, to correct his problems. Justin Upton, 27, has fared much better in his 2 seasons, with an OPS of .822, 54 HRs and 162 RBI for his 1108 AB. The worst part about this is that the younger brother only has 1 more year left on his deal in 2015, making $14.5 MIL, while B.J. has 3 more years left on his deal, paying him a sum of over $46 MIL for the duration. I started writing for this website about a year ago. One of my first articles I put forth was one centered around the albatross contracts that were B.J. Upton and Dan Uggla. True to prior blogs written here at the MLB Reports, the older Upton’s Free Agent contract of 5 YRs/$75 MIL will go down as one of the worst deals ever consummated on the open market. You add the $15 AAV (Average Annual Value) to Uggla’s $11 MIL, and you are forking out over $26 MIL a year – for what are horrific numbers. The genesis of my theory was simply the team would not recover financially, or be able to cover up any mistakes/injuries that may come to the club. Atlanta has been one of the best franchises in the MLB for the last 24 years. Even after the organization claimed 14 straight NL East titles, they only took about 5 years to reload the troops for another wave of success. For The Most Part – The Top Salaried Players (#1 – #25 In The MLB Are Certainly Not Playing Like It! Some of the highest paid athletes are really struggling to earn their keep. Even if A – Rod were playing, it is quite possible he would be a shell of his former self, and way overpaid. You add in the horrific injury riddled years for Joey Votto and Prince Fielder, and you are talking about a lot of dough for players not even in uniform presently. Then there is a productive hitter like Troy Tulowitzki, who can’t remain on the field, despite putting up world caliber numbers when he is in the lineup. Joe Mauer and Matt Kemp have also dealt with injuries and timing issues at the plate, but they still could turn it around for the tail end of the season – and going forward. Justin Verlander tops the list of the paying the man too late in the game, and this will not bode well for the Free Agent Max Scherzer. You also have aging veterans that are helping their teams win games like Albert Pujols and Adrian Gonzalez, but they are also not where they were at the time all of that cash was thrown their way. Miguel Cabrera and Mike Trout‘s deal don’t even start yet on this list, and somehow I think they will do alright. The Yankees have a huge problem on their hands with their representatives out of these players. Mark Teixeira only has power left, and can hardly stay on the field, while CC Sabathia may be done as a top of the end starter. Masahiro Tanaka was lights out in his time in New York this year, however he could be facing Tommy John Surgery soon, and may cost the franchise a lot of money to sit out. Not even the Jacoby Ellsbury deal has reason for them to feel comfort. His numbers are similar to the ones he put up in Boston, yet he will see his speed evaporate over the years going forward. Miguel Cabrera‘s new 8 YR/$248 MIL contract extension comes days after the club couldn’t come to terms with reigning AL Cy Young winner Max Scherzer. The numbers are mind boggling. He breaks the ALL – Time record for Average Annual Contract per year is at $31 MIL AAV (from 2016 – 2023), and also he is owed the most dollars at any given time by a contract at $292 MIL for the years of 2014 – 2023. This man is the best pure offensive player in the game, and has only become better with age, but a lot of people are worried about the back end of this deal. Homer Bailey may be the 3rd Starting Pitcher on the depth chart, but he happened to be the 1st guy up on Free Agency out of Mat Latos (2016 FA) and Johnny Cueto (2016 FA). For this reason alone, I like the team extending the 27 Year Old to a 6 YR deal worth a minimum of $105 MIL, and with a Mutual Option for $25 MIL for the 2020 campaign – that could make it a 7 YRs/$125 MIL pact. The deal starts off pretty good for dollar sense in the first two years, with Bailey making $8 MIL in 2014, and $9 MIL in 2015. The 2014 season is fast approaching. With spring training just around the corner, there are many up and coming players who are on the brink of making it to the majors. Who knows! It may also be the beginning of hall of fame careers for some of these guys. There are also a couple of players, who are already in the majors, and look to continue their success. Freddie Freeman is worth the money he just signed for when it comes to his talent level, age and production thus far. Yesterday, the 24 Year Old First Baseman inked a 8 YR deal worth $135 MIL with the Tomahawk Choppers. As someone who was just entering the 1st year of Arbitration Eligibility, he was bought out of that negotiation. 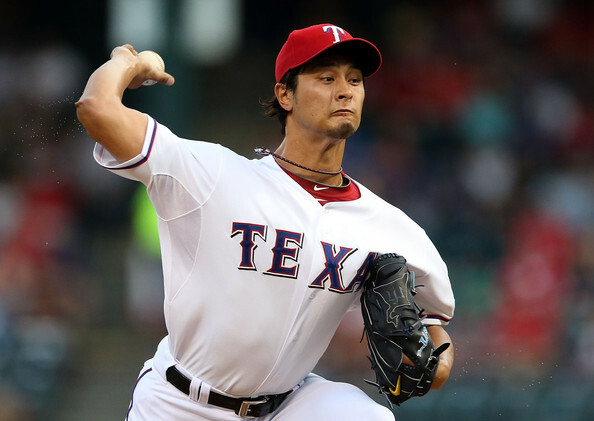 Darvish has provided Texas with ace-like material ever since coming over from Japan. At his current $10 MIL a year salary, he is a complete bargain compared to what Tanaka received from the Yankees. It was because of the record posting fee the Rangers doled out – to have the exclusive rights to talk to Darvish. You have to wonder what he must be thinking of the Tanaka deal. Texas reaped the benefits of financial freedom to sign other long term deals like Choo, and acquire Fielder based on this move. Darvish finished 2nd in AL CY Young Voting with a 13 – 9 record, a 2.83 ERA and a league leading 277 SO in his 209.2 IP worth of work in 2013. His high posting bid was not part of his salary, or converted towards the total team payroll. With Masahiro Tanaka’s new deal – for the 1st time all of the MLB’s ALL-Time top 50 contracts are $100 MIL or more. Adam Wainwright was effectively bumped out of the #50 slot, leaving 4 guys tied for 47th, all registering deals of $100 MIL (Carlos Lee, Ryan Zimmerman, Albert Pujols (2004 – 2010) and Evan Longoria. Masahiro Tanaka also joins Robinson Cano, Clayton Kershaw, Shin-Soo Choo and new teammate Jacoby Ellsbury, as players that have made it to the list this offseason. Clayton Kershaw has agreed to a 7 YRs/$215 MIL extension – that will run through the years of 2014 – 2020 with the LA Dodgers. The deal is slated for an opt out clause after the 2018 season by Kershaw, when he will be only 30 years old. The terms go like this for years. 2014: $22 MIL ( $18 MIL signing bonus is part of that), 2015: $30 MIL, 2016: $32 MIL, 2017 and 2018 he will earn $33 MIL). From here that will have been $150 MIL for the 1st 5 years of the contract. If Kershaw remains past this, the deal pays $32 MIL in 2019 – and finally $33 MIL in 2020. The verdict is in. 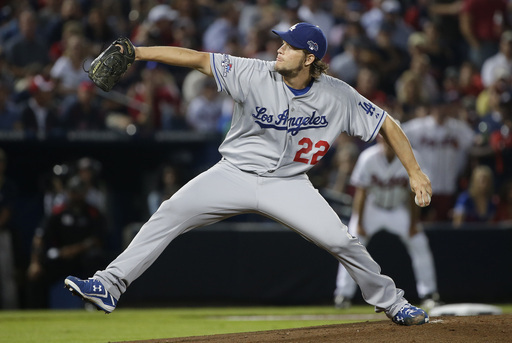 Clayton Kershaw has agreed to a 7 YR Extension for $215 Million. It is the highest Annual Average Contract ($30.7 MIL) in the history of Major League Baseball, topping A-Rod’s previously set deal worth $27.5 MIL. The deal is also the richest contract ever in Pitching history – surpassing Justin Verlander’s 7 YRs/$180 MIL extension from 2013 – 2019. It is the 6th highest deal ever in the MLB, and Kershaw becomes the 7th player ever to receive a contract north of $200 MIL. It would be one thing if B.J. Upton were the only player on the Braves who had an abysmal season. When you add the injuries and the season of Dan Uggla to Upton worst year of his career, it is actually amazing this team ended with 96 Wins. 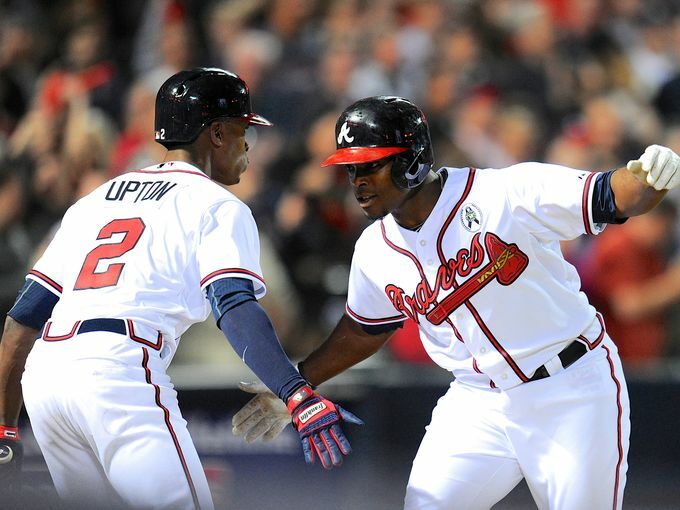 With the club losing Brian McCann, Paul Maholm and Tim Hudson, they will need Upton and CO. to rebound for the team to contend again in 2014. Upton has to get back to 20/20 years for powers and steals, and at least hit to 85% of his career 3 slash – to justify the contract doled out by the Atlanta Braves. Uggla must correct his vision problems and get back to raking again. These 2 guys are the #2 and #3 paid guys on the squad in 2014 behind Justin Upton. The ‘Tomahawk Choppers’ have 2 players that are killing them for Free Agent signings this winter. B.J. Upton is only in the 2nd year of his 5 YRs/$75 MIL – and underachieving Dan Uggla is still on the books for 2 more years. Between these 2 gentleman, they will bring down $26.25 MIL in 2014. The Braves are hoping for more than under the ‘Mendoza Line’ Batting Averages – and an occasional big fly. The Braves are also headed to Arbitration with Freddie Freeman, Jason Heyward and Craig Kimbrel. This is certainly bound to cost the organization a pretty penny. In fact, those 3 players will likely exceed the amount of the B.J Upton and Uggla contracts. 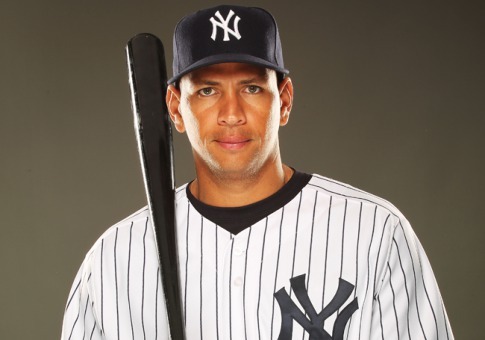 Technically A-Rod has received the two top contracts in baseball history, however he opted out after the 2007 year for the 1st one, so really it was a 7 Year Deal worth approximately $158 MIL that was paid out to him between 2000 and the end of the year in 2007. Rodriguez contract from 2008 – 2017 also includes $30 MIL worth of player performances for passing milestones. I start this paragraph saying that it blows my mind away that Alex Rodriguez has the #1 and #2 best contracts of ALL-Time. This is sick. At least he might forfeit up to $21 MIL of his salary in 2014, and another $5 – $7 MIL in 2015 – if the 211 game ban sticks. Therefore can we really say that he would have the top 2 earnings leaders for any given contract? He would have to give up $27.51 MIL of it for that to happen. Pujols would take over the reigns as the #2 contract with his 10 YRs/$250 MIL deal then. Some of them are classic overpays, and others actually have netted the franchise their true value back and then more. You can be your own judge. The Braves Will Be Paying The B.J. Upton Deal For Years – Not Just Money Either! The Brothers Upton both were acquired last year’s offseason by the Atlanta Braves. This was a risk for the organization, and while Justin played extremely well in condensed pockets, B.J. Upton is quickly establishing himself as one of the worst contracts ever signed in Major League Baseball history, a .184/.268/.557 – with 9 HRs and 26 RBI is simply abysmal. The Braves brass should have sent him to the Winter Leagues, to correct his problems. The younger brother is still on the hook for 4 more years – and $60 MIL. Not only is the franchise jaded towards signing another Free Agent this winter to a similar deal, they have lost their 2 longest tenured players in Brian McCann and Tim Hudson. It is a not a shock the Braves are shying away from the Free Agency thus far in the winter. After all, the franchise spent the most they ever had for B.J. Upton last offseason, only to have been served a train wreck in 2013. Honestly, besides the 1st month, and a torrid stretch in August, Justin Upton wasn’t far off the power production of his older brother in the other 4 months of play. If it weren’t for the Chris Johnson add in that deal (Braves savior), plus his subsequent Batting Average race for the NL lead, this would be an even graver subject. The last line was not an indictment on the Braves and D’Backs trade, rather just that Johnson helped make up for the lack of production from B.J. Upton. We all know overall Justin Upton made the same numbers as were likely projected. That trade is yet to be determined, but adding Johnson was a nice little move. 2013 was not an easy road traveled for Atlanta. The Braves suffered so many injuries and set backs this season that I think a lot of us almost forget about the ones that happened earlier on in the year. Johnny Venters never even threw a regular season pitch this year and he has been our premiere set up man. Eric O’Flaherty threw his last pitch somewhere around the middle of May against this very Dodger team at Turner Field. in all of baseball Craig Kimbrel. What happened after that? The Braves would still go on to post the best bullpen ERA in all of baseball and on top of that set a franchise record for the same mark. Jason Heyward missed significant time as did Brian McCann. Freddie Freeman spent a couple of weeks on the disabled list and still drove in over 100 runs on the season. 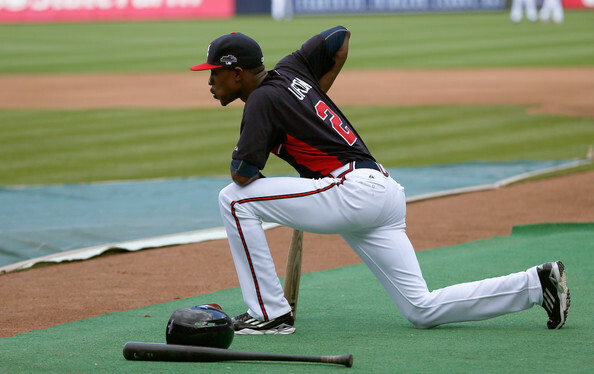 BJ Upton and Dan Uggla struggled throughout most of the 2013 season and BJ was one of the players expected to make a huge impact when he signed with the Braves this winter and it just never happened. Other players stepped up and young players assumed roles that were well beyond the original expectations of them in 2013. No one panicked and no one quit and as a fan I am appreciative of the heart and effort this team always put forth. The Braves won 14 straight Division Titles from 1991 – 2005, that culminated in 5 World Series Visits, with cashing in for the Trophy in 1995, however other than a Wild Card Berth (2010), and a Wild Card Play In Game in 2012 (that they both lost), the club has not seen playoff success for the past 14 years. 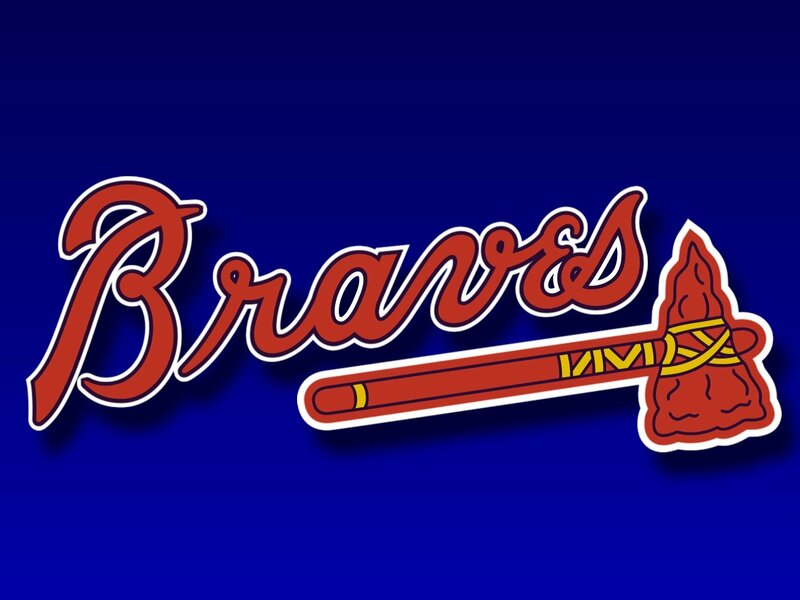 The Bravos will have a full NLDS Series to claim another chance at a NLCS Pennant, for the 1st time since 1999. Atlanta is still duking it out with the Dodgers and Cardinals for overall home field advantage throughout the playoffs, and have a 0.5 Games Lead over St. Louis (2 game lead over Los Angeles) with just 5 games left. This would be extremely ‘vital’ to the club – as the team sports a (MLB best) record of 53 – 23 at Turner Field – compared to 40 – 41 on the road this season. The first fourteen years of my life (1991-2005) the Braves won consecutive division titles (the best run in MLB to date). They were the first team in the NL to go from last place to first place the next year (“Worst to First”). They went to the World Series. (1991 was the first time that the home team won all 7 games of the World Series-too bad Atlanta wasn’t the home team). The Miracle Season and a book by John Smoltz that I wish I could remember the title of because I read that thing like it was a holy canon that summer. I know the Braves beat the Astros 6-5 a few hours after I was born, and I think, in baseball astrology terms, that meant I was destined to become a Braves fan. 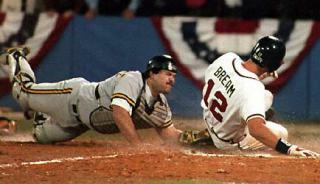 The first World Series I was alive for was the Braves and the Twins, not as if I could remember it, but I know that people still argue over the bad call that supposedly caused the Braves to lose, as if one call among thousands could determine a game much less a series. And for fourteen years consecutively the Braves won their Division (of course the 1994 Season was cancelled, negating the only time the season ended, without them atop the NL East Standings – Montreal was leading that year). The Braves have been falling by the wayside to injury since the 1st part of the year. They have lost Venters, O’Flaherty. Hudson and now Heyward for a 2nd time. If you couple that with lackluster performances from Dan Uggla and B.J. Upton, the injury time on the DL for Brian McCann, Brandon Beachy – and even Evan Gattis, plus the retired Chipper Jones having been departed from the 2012 squad, then this team has overachieved to the fullest with the rest of the choppers! Atlanta currently owns the best record in the MLB – with a 77 – 50 mark, 14 games clear of the 2nd place Washington Nationals in the NL East. Also, please stop inadvertently injuring our players New York Mets! The word “injury” has plagued this 2013 Braves team all season long. The injury bug didn’t take long to hit as Jonny Venters the teams premier set up man was unable to throw a single pitch this regular season. Then it was Eric O’Flaherty who was hit with a season ending injury. At this point in time it was about mid May and many were in panic mode over what would become of this feared and revered Atlanta Braves bullpen. It wouldn’t take too long to find out the answer to that question. After a little mixing and matching Fredi Gonzalez found the right guys to plug into those critical 7th/8th inning roles and they have been nothing short of spectacular. Jason Heyward Hit In The Face – Not For The Weak Of Heart, You Have Been Warned! The Braves are right up there with the St. Louis Cardinals, New York Yankees and Boston Red Sox for best run organizations over the last 25 years. Some would say that Atlanta’s brass is the king at organizational bang for the buck from drafting a trading. The team reeled off a professional record – 14 straight Division Titles from 1991 – 2005. They made it to 6 World Series, unfortunately only winning 1 of them in 1995.